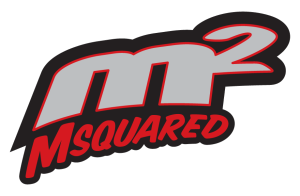 Why buy your kart from Msquared? 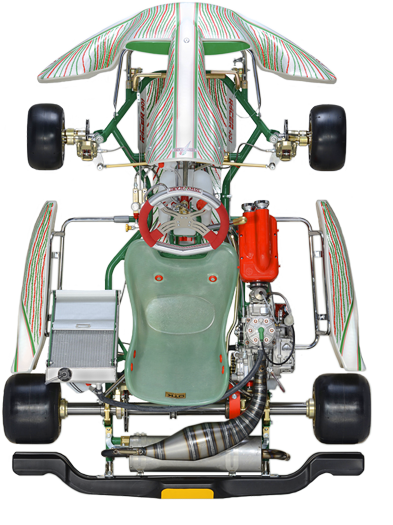 It’s simple, we believe we build and sell the finest complete karts on the market. First off, we have over 75 years combined karting experience to draw from. We’ve built hundreds of karts ranging from 4-cycle cadets to full blown national level KZ shifters. Second, we don’t cut corners. While some shops may sneak in cheaper components where they won’t be noticed in order to reduce costs and increase profits, we refuse to do so. We insist on using only the highest-quality components. Rest assured, you won’t find anything on our complete karts that we wouldn’t put on our own karts. After all, how much sense does it make to save $200 on a kart only to have to turn around and spend $500 on a new radiator because the one that came “standard” is wholly insufficient for racing anywhere other than the Arctic icecap? Third, we are national-level racers and we have learned (and continue to learn) all the little tricks that make a kart perform at it’s optimum level. We incorporate this knowledge into every kart we build. 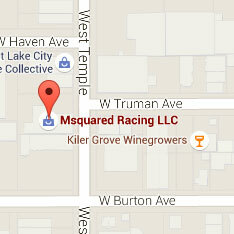 Fourth, we will take the time to make sure the kart we deliver to you is ready to race at your local track. Most shops will just build a kart and ship it to you. You may get it and discover it does not have the correct tires for your track’s ruleset or the wrong gearing and/or jetting. We utilize our many contacts in the industry to make sure the kart you get is legal and ready to race wherever you may be. And finally, we truly believe that how you and your Msquared built kart perform is a reflection on us. That’s why we’re always available to help you with chassis setup, engine tuning and driving tips. When you buy a kart from us, you become part of our team and we want to help you get to the front. So if you’re in the market for a complete, race-ready kart, give us a call at 801-972-4631 or email us using the form on our contact page. We’ll take the time to go over your options, help you select the right category, the right brand and the right model. We’re confident you won’t be disappointed.